The realm of dreams is perhaps the most ubiquitous, fertile, and alluring place that we look to for inspiration. Whether we’re craving new creative ideas or insight into ourselves, our night-time excursions to this mercurial land of multiple meanings, shifting landscapes and beguiling mysteries seem to dangle endless fresh possibilities before us. 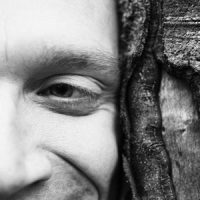 What if we were able to discover techniques that allowed us to easily reach out and grab these possibilities? What if tools were available that could haul this submerged inspiration out onto our all-too-dry land, ripe and ready to refresh our vision? This kind of hope is the fuel for most of the prolific literature on “using” dreams, some of which is hugely important and powerful. In particular, lucid dreaming (a state in which you become aware that you are dreaming while you are dreaming) can exponentially increase the access you have to the dream state’s treasures. However, just as individual dreams are never of simple significance, and only yield their true nature through multiple perspectives, our general interaction with dreams is hampered if we maintain a singular overall attitude towards them. Here I wish to dwell on an approach to dreams that—for obvious if not always good reasons—is rarely voiced. It has more to do with attending to dreams than using dreams. It is tricky (certainly not to be captured in a short essay like this), and vexes the results-hungry ego. This perspective, Hillman argues, is expressed most accurately in dreams. Freud famously claimed that dreams are the “royal road to the unconscious”. Hillman shares Freud’s high estimation of dreams, but differs subtly and crucially in his approach to them. Freud may have talked of a road to the unconscious, but his avowed project was for traffic to move the other way—and to be disarmed of its irrational power en route by the process of interpretation. Freud wanted to move the contents of the unconscious into the realms of the rational ego, on the ego’s own terms. His landmark work The Interpretation of Dreams contains much respect for the dream, and is essential reading; but in the end his allegiance was to the rational project. “Where id was, there shall ego be.” Where exactly this process might stop isn’t made clear. However, a quick contemplation of handing over the control of bodily functions such as the heartbeat and cell repair to the ego should give you a good biological example of the limits of consciousness, which can trigger a sense of how vital unconscious processes might be for the psyche, too. [T]his dayworld style of thinking—literal realities, natural comparisons, contrary opposites, processional steps—[…] must be set aside in order to pursue the dream into its home territory. There thinking moves in images, resemblances, correspondences. To go in this direction, we must sever the link with the dayworld, foregoing all ideas that originate there—translation, reclamation, compensation. We must go over the bridge and let it fall behind us, and if it will not fall, then let it burn. How to do this? Hillman’s key framework is psychotherapy. Although he is often harshly critical of the practice (one of his books is called We’ve Had A Hundred Years Of Psychotherapy And The World’s Getting Worse), it is his long-standing, embittered but loyal ally. He envisions it as an alchemical process, the classic 50-minute session acting as an enclosing container for the psyche, an alembic stretching through the weeks to hold and slowly refine the soul’s processes. Importantly, the finitude, that often annoying awareness that the clock’s ticking away, constellates death. Hillman takes the dreamworld as the underworld—Hades. Not the literal underground into which the bodies of the dead slowly dissolve, the dark and earthy realm of fertile, composted death that the earth goddesses rule over; rather, Hades is the spectral realm of metaphorical death. Death as psychological depth. Not death as a literal biological event, but the death of the ego’s rational solid grasp of “hard facts”—the death of simple, singular vision. It is not bodies that dissolve here, but mental constructs. Hillman takes interpretation as a colonial act of the dayworld ego, but analysis (from the Greek for “breaking up” or “loosening up”) he sees—despite our association of it with the rational intellect—as the natural movement of the psyche in Hades. In therapy, the constituent elements of the psyche, which are expediently joined together for effective action in the world of the reality principle, are separated out, revealing the multivalent (Hillman would say polytheistic) nature of the psyche. Dreams directly show us the manifold substructures that govern us; therapy, in teasing them apart, hopes to give each aspect of the psyche enough definition and confidence to make healthier pacts and accords with other aspects than were previously possible in the cramped and often hastily arranged space of the “personality”. The falsely unified persona of everyday life dies to the truth of the masque of death, the parade of numinous shadow figures that constitute the psyche’s depths. Obviously here isn’t the place for outlining the actual techniques and craft of therapy. But how might this approach be applied in our lives, to serve our creativity, to enrich and inspire us? I’m returning to this question—“What to do?”—partly because the form of this type of essay gravitates in this direction, but also deliberately, to foreground this movement. And then, to undermine it. Specific practices are copiously documented in any number of dreamwork books or websites. But here, I’m trying to follow Hillman by initiating our approach to the dream with an attitude that, firstly, pays homage to the dream. Rather than be lead by the dayworld urge to get something practical, literal and utilitarian underway, perhaps we can try starting with the dreamworld, and cultivate a love for it that refuses expectations. The most crucial element in approaching dreams is attention. We must attend to dreams closely; sustained attention brings sustenance. Keeping a dream journal is an essential discipline, but perhaps not a discipline to be “pushed”, like jogging. The muscular effort of exercise, as an attitude, is a great way to repel the images of the dreamworld; they appreciate less strained and direct effort. Indeed, an attitude of service rather than discipline is more appropriate. “Therapy” is derived from the Greek for “to wait on, attend”; the priests or attendants at the ancient Greek dream incubation temples, where the healing god Asklepius worked his wonders, were called therapeutes. This Greek root in turn stems from the root dher, which means “to support”. Psychotherapy, then, is to wait on, or attend to the soul. Both the therapist and the patient (who must be patient) are, in their dialogue, actually waiting for the impersonal soul to reveal itself through their interaction. Paying attention to dreams can be fuelled by doing certain things, doing dreamwork. But the real trick is to slowly, with patience and persistence, cultivate a caring love for dreams, alert to their textures, movements and details for their own sake. I don’t see this as some kind of flat phenomenology, which cautiously sticks purely to the surface impressions given by dreams. The very nature of the impressions created by dreams, if examined closely enough, elicits a dynamic process of associative thought. As discussed previously, avoiding interpretation does not preclude analysis; dreams welcome a caring dissolution of any apparent coherence into multiple perspectives and trajectories. Indeed, as “a dream”, phenomenologically speaking, may just be our waking mind’s memory of a dream, perhaps this process of carefully mulling over the dream, not wrenching its secrets out on the rack of rationality but letting its structure unfold its ever-deeper recesses, is the basis for returning to “the dream itself”—whatever that may be. 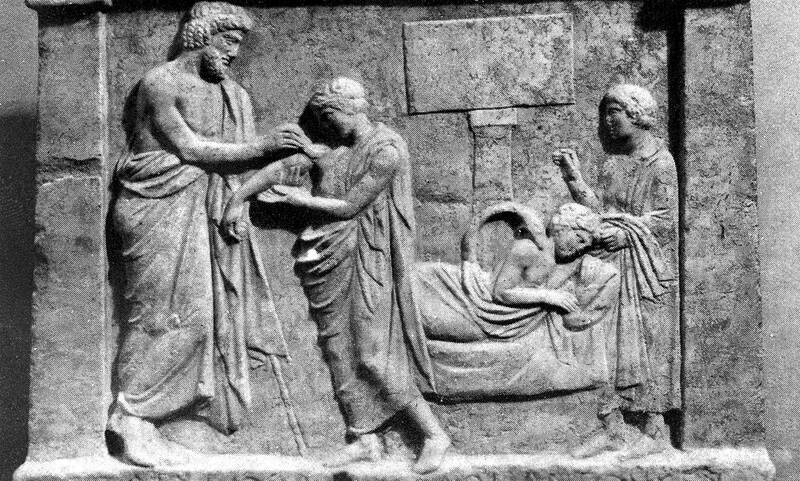 We must bear in mind that when patients at Asklepian temples were cured, the visit that the god paid to them during their slumber wasn’t made in order to give them something to do, something in the waking world to obtain or pursue in order to be cured. The dream itself was the cure. What we do with the dream in waking life (if anything) should be a careful extension of the principles of the dream itself; any slip into the habits of translation or principally pragmatic exploitation could banish the mysterious power of our brush with this imaginal underworld. In attending to dreams, we need to cultivate the waking life traditions that share close affinity with dream logic—art, ritual, some psychotherapies. Only in these activities can we find containment that is sensitive and strong enough to accept the powers that dreams bestow. Over many years, a prolonged devotion to these peculiar dips into the psyche’s native land does indeed transform your life, creating subtle and inexpressible currents of mental, emotional and spiritual nourishment. A certain stability—still mutable, but more coherent within the context of the dream—may arise in particular dream landscapes or characters that populate that world; the dream grows more assured and trusting in your presence. Patterns can span months, years or decades, and mature into a form of personal mythology; the dream is pleased with your patience, and rewards you with a more sophisticated knowledge of your depths. Terrifying encounters can open to reveal an indestructible concern for our well-being, and images or situations that seem intensely personal can give way to a much wider sense of the world beyond us. We sense that dreams mean well for us, back us up and urge us on, understand us more deeply than we understand ourselves, expand our sensuousness and spirit, continually make up new things to give us … It is like the love of an old man, the usual personal content of love voided by coming death, yet still intense, playful, and tenderly, carefully close. Also published in Vortex magazine and on Reality Sandwich. No comments here for now, but if you want to you can chip in on	Facebook or Twitter. Attending to Dreams by Gyrus is licensed under a Creative Commons Attribution-NonCommercial-NoDerivatives 4.0 International License. Instead of working with one another to create value for our communities, we work against one another to help corporations extract money from our communities.